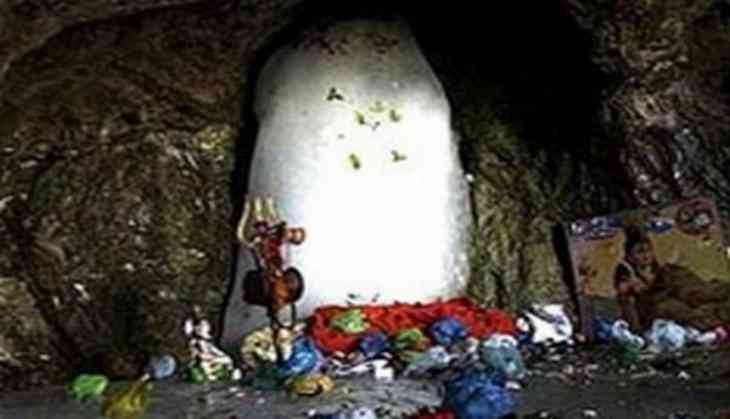 The first batch of 2,280 pilgrims left Jammu base camp on Wednesday for this year's Amarnath Yatra that begins on June 29. State Deputy Chief Minister Nirmal Singh flagged off the first batch of pilgrims 5 a.m. on Wednesday. The pilgrims left in as many as 72 vehicles. Home Minister Rajnath Singh, earlier on Tuesday, chaired a security review meeting in the wake of the Amarnath Yatra. Home Secretary, Director of the Intelligence Bureau, Joint Secretary Kashmir and Ministry of Home Affairs (MHA) officials were present in the meeting. Providing security for this year's Yatra has been a major concern for the Home Ministry as the pilgrimage is facing a terror threat, according to an intelligence warning. The security officials, especially the Central Reserve Police Force (CRPF) and the Sashastra Seema Bal (SSB), have mobilised the highest level of security measures, including tracking systems through satellites and drones. AV Chauhan, IG CRPF, on Wednesdasy told ANI that instead on the SSB officials, the whole responsibility of providing security to the pilgrims is has been assigned to the CRPF and that they, along with the Jammu and Kashmir Police have done everything possible to ensure a safe journey for the pilgrims. The Director General (DG) Border Security Force (BSF) K.K. Sharma had earlier assured that all security measures were taken and the Yatra will pass off peacefully. Speaking to ANI, Sharma had said, "This year the threat perception is exceptionally high, there are disturbances in the Valley. The possibility of the militants disturbing the yatra is very much expected and keeping that in mind, we have made all arrangements. Our deployment is in place, the routes are guarded by Border Security Force (BSF) and Indo Tibetan Border Police Force (ITBP) meanwhile, the CRPF and local police are also involved in the access control and are proving security to the shrine." The Jammu and Kashmir Police has said that they have put all the necessary security arrangements in place so that the pilgrims have a hassle-free and safe journey. Minister of State for Home Affairs Hansraj Gangaram Ahir had earlier said the Amanath Yatra is on the radar of Pakistan, but the Indian Government is prepared to tackle the issue. "The Amarnath Yatra issue always rakes up at this time of the year, as it is on always on the radar of the Pakistan. The Yatra will be concluded nicely, we have made all the necessary security arrangements and are keeping a close watch on the same," Ahir told ANI. Tension in the Valley was initially expected as the yearly Hindu pilgrims visit to the holy site during the 45-day season around the festival of Shravani Mela, coincides with the first anniversary of the killing of Hizbul Mujahideen commander Burhan Wani.